Föri has a cheerful old man. Jypyä Pop (Turku, Finland) on 14 March 2016 in Cityscape & Urban and Portfolio. 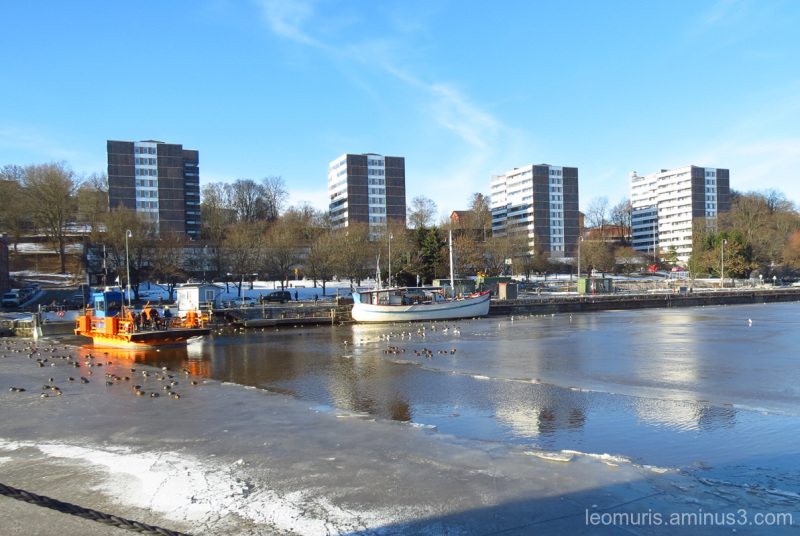 "Föri", a river ferry has been transporting people on this spot over a hundred years. Initially, it was the steam engine, now it transports diesel in the near future and it will take an electric motor. Travel across the river takes about two minutes. Très bel endroit, encore de la glace...bonne journée ! Nice atmosphere, it's really spring! Adapting to new energies. Well done. Only two minutes ! Have a nice small trip ! @Hiro: It will reduce the number of business trips were really a lot and also tourists love to it. It's good to have such reliable transportation. A pretty shot of the ferry and city. Très jolie lumière pour cette vue.